"Wildflower Farm ships only the freshest, finest seeds. We guarantee that all species sold are true to name. " 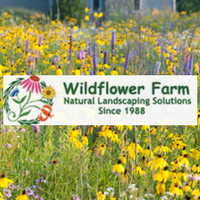 Wildflower Farm is your source for organically grown, non GMO, native North American wildflower seeds, native grasses and wildflower seed mixes. Put our experience in natural landscaping solutions to work for you! We are also the home of Eco-Lawn, the ultimate low maintenance lawn seed. Now you too can have a lawn with less mowing, less watering and less fertilizing. Save time, save money & save the environment and experience what thousands of people across North America already know - grow an Eco-Lawn! Wildflower Farm Online Ordering uses the following LinkGreen products.